While perusing the Tea Guy Speaks blog (if you don’t read it, you probably should), I came across an entry from last May about reading tea leaves (a.k.a. tasseomancy or tasseography). William does a great job of presenting a bunch of books about fortunetelling with tea leaves without really stating how he feels about tasseomancy. He doesn’t judge. Well, I suppose somebody has to be the judgmental one, so I humbly volunteer my services. For those unfamiliar with the practice, tasseomancy is the “art” of telling people’s fortunes by analyzing the positions of leftover leaves in a teacup. It is related to tea drinking in the same sense that astrology is related to astronomy. The former two involve camellia sinensis leaves, and the latter two involve stars and planets. There, the resemblance ends. Tea drinking certainly isn’t a hard science like astronomy is, but there’s a lot of science involved in proper analysis of the health benefits of tea, development and maintenance of new strains and varietals, developing repeatable and scalable production and farming techniques, and much more. Tea leaf reading, on the other hand, is an arbitrary assignment of meaning to the arbitrary positions of leaves in a cup, cultivated and developed into a complex fraud. Yep, I used the word “fraud.” I went there. Performing tasseomancy can be a harmless party trick, or it can be a way of extracting cash from credulous people. Tea leaf reading, on the other hand, is an arbitrary assignment of meaning to the arbitrary positions of leaves in a cup, cultivated and developed into a complex fraud. If someone accepts money for reading your fortune in tea leaves, they had might as well be stealing it. If five different fortunetellers read your leaves, they’ll get five different results. Heck, if the same one reads your leaves five times, s/he will get five different results. There’s no scientific basis for tasseomancy. I’ve never been able to find a study where a tasseomancer’s results were compiled and checked for accuracy. 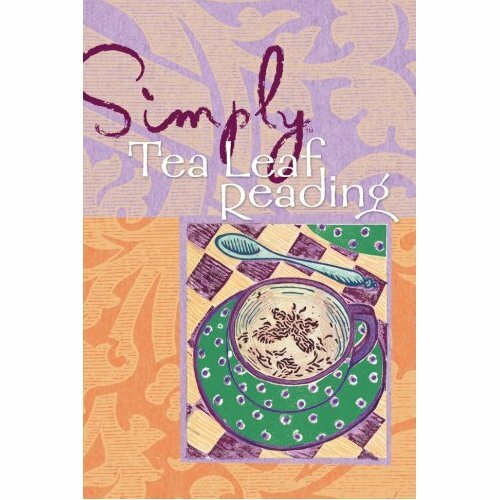 I sell tea-related books in my bookstore/tea bar, but books on tea leaf reading are conspicuously absent. I’ll order one for anyone who asks, but I really don’t want to imply any kind of endorsement of the practice to my customers. Please don’t misconstrue this as a complaint or condemnation of William’s blog post. I love his blog. Knowledge is power, and I believe in making information available to people. I also believe, however, in exposing scam artists, and that’s what people who perpetuate reading tea leaves for profit are. Posted on 6 November 2012, in Tea Thoughts and tagged reading tea leaves, tasseography, tasseomancy. Bookmark the permalink. Leave a comment.